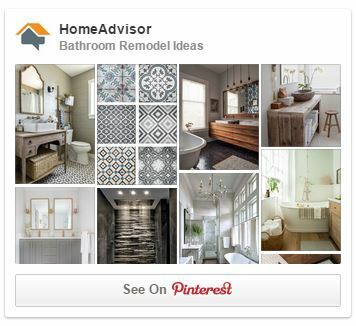 Finding a way to create your dream master bathroom is often difficult, especially if you want all the bells and whistles. After all, you need to find a way to pay for it, and the cost of materials and labors can be extremely expensive. However, what most homeowners fail to realize is that there are ways that they can create their dream master bathroom for significantly less than what they were quoted. This, of course, can be done when you decide to tackle some jobs yourself. While there are plenty of bathroom renovation jobs that would require the help of a contractor or plumber, the following are five bathroom upgrades you can do yourself. If the flooring in your current bathroom is dated, have no fear. Replacing the floor in a bathroom can be very simple, no matter what type of product you decide to use. For example, if you want to use tile, you can easily purchase everything you need at your local home improvement store. The biggest challenge is going to be using the wet saw to make cuts, but other than that, you simply spread the mortar, apply the tile, add some spacers, and let it sit. Do this until the floor is covered, and voila. If you want something easier, consider using laminate flooring. These have come a long way over the years, and they actually can look like real tile. Plus, they’re a lot easier to install. You simply put down some adhesive, peel off the back sticker, and push it down into the floor. Unlike tile, this doesn’t require any spacers or a wet saw—if you need to make cuts, a strong pair of scissors will do just fine. 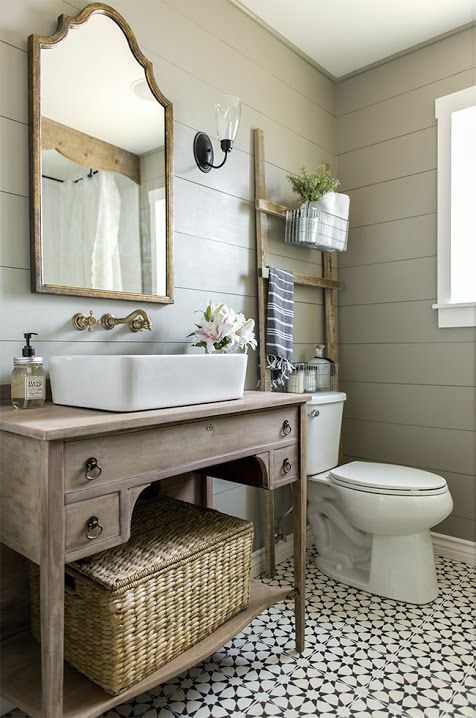 The vanity is almost the centerpiece of the bathroom, and if yours is in need of an upgrade, then what are you waiting for? You can purchase a new one and install it yourself. Simply follow the manufacturer’s directions. You can also re-do your current vanity by giving it a new coat of paint, adding a different fixture, or even changing the countertop. Again, these are all simple fixes that you can do on your own without the help of a professional. Changing a toilet is sometimes a necessity in order to get that dream bathroom. While some people may call a plumber to change the toilet, it’s not a requirement. The first thing you need to do is turn off the water. Then, unbolt the toilet from the floor and unhook it from the water source in the wall or floor. Have plenty of towels on hand, because water may leak out during this process. Once the old one is out, simply install a new toilet seal, put the new toilet in place, secure the screws (but not too much), re-start the water, and you can enjoy your new bathroom throne. Even the most inexperienced person can change a light fixture. In fact, the most important thing to remember when dealing with bathroom lighting is to turn off the electricity. Then, simply remove the old fixtures, and then attach the new fixture according to the manufacturer’s instructions. If you want to save even more money, consider using the same fixtures, but giving them a makeover with a coat of paint. This will make the process easier too. When it comes to room makeovers, there’s one thing that is the easiest of all, and that’s painting. You’ll be amazed at how much one tiny change in color will make a huge impact in a room. Take a trip to your local paint department, choose a color that you love, and get to work. Sometimes, this change is all you need to get the upgrade you wanted.